Additional contacts can be added to any project and once added they will be saved to the clients profile and can easily be added to future projects. 1.) Open the project you want to add a contact to. 2.) Select the green + button in the Contacts row. 3.) Add the information for the contact and Save when finished. 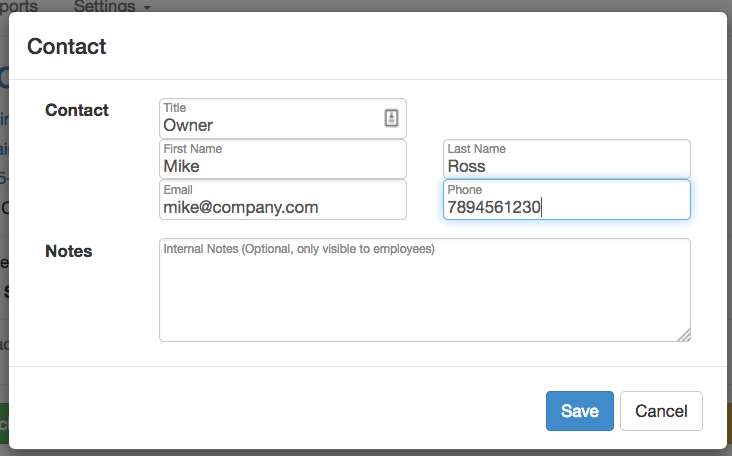 Contacts will also show up on the drop-down menu when sending emails so you can quickly add them.